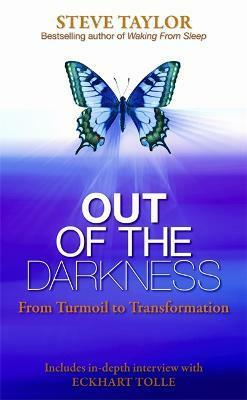 In Out of the Darkness, bestselling author Steve Taylor tells the stories of more than 30 people who have undergone permanent spiritual awakening after intense trauma and turmoil in their lives. Read about the young woman who was reborn after suffering terrible injuries in the 7/7 bombings in London, the man who found enlightenment after becoming paralysed in a fall, the man who underwent transformation after attempting suicide, and the recovering alcoholic who shifted to a permanent state of enlightenment after hitting 'rock bottom' and losing everything. Steve has also interviewed several spiritual teachers whose awakening occurred after intense psychological turmoil, including Eckhart Tolle. In addition to telling these people's stories, Out of the Darkness explains why turmoil has this transformational effect and illustrates the almost infinite capacity of human beings to overcome suffering. It shows how close - and how natural - spiritual awakening is to all of us.